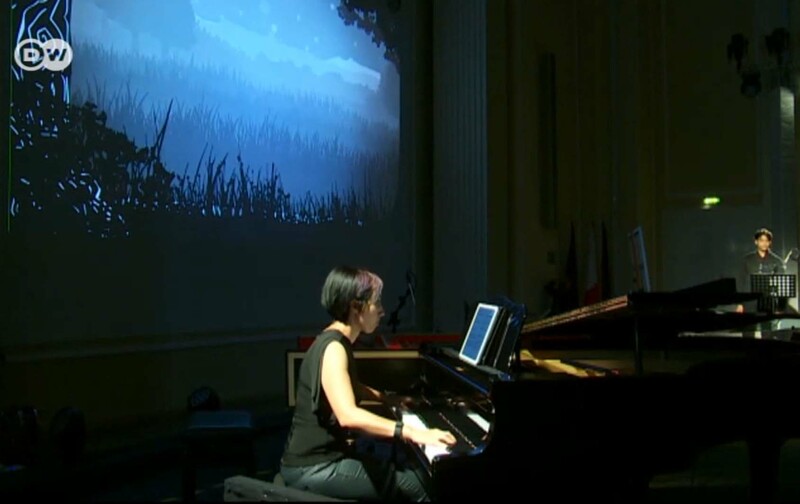 ĦREJJEF ‘Maltese Folktales’ is a captivating, interdisciplinary production which brings together traditional folktales, shadow puppetry, digital animation and contemporary music. 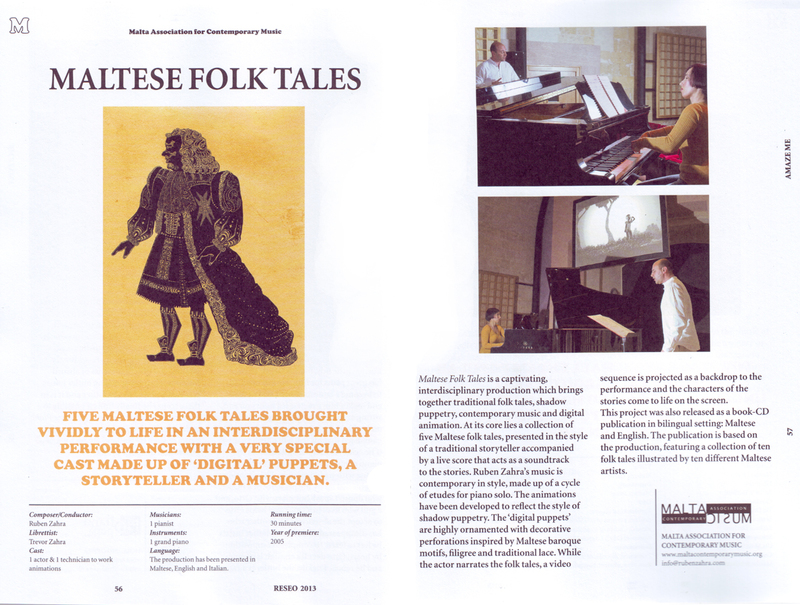 At its core lies a collection of Maltese folktales, presented in the style of a traditional storyteller accompanied by a live piano score that acts as a soundtrack to the stories. 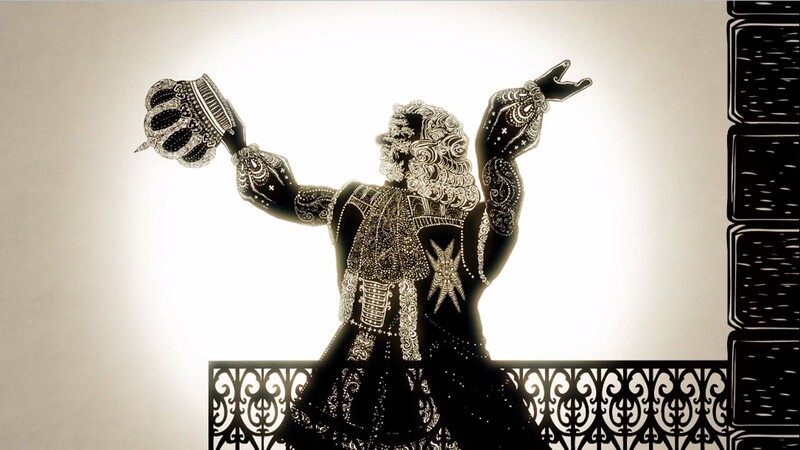 The digital animations have been developed to imitate the style of traditional shadow puppetry. The ‘puppets’ are highly ornamented with decorative perforations inspired by Maltese baroque motifs, filigree, traditional lace and other folk-art aesthetic attributes. 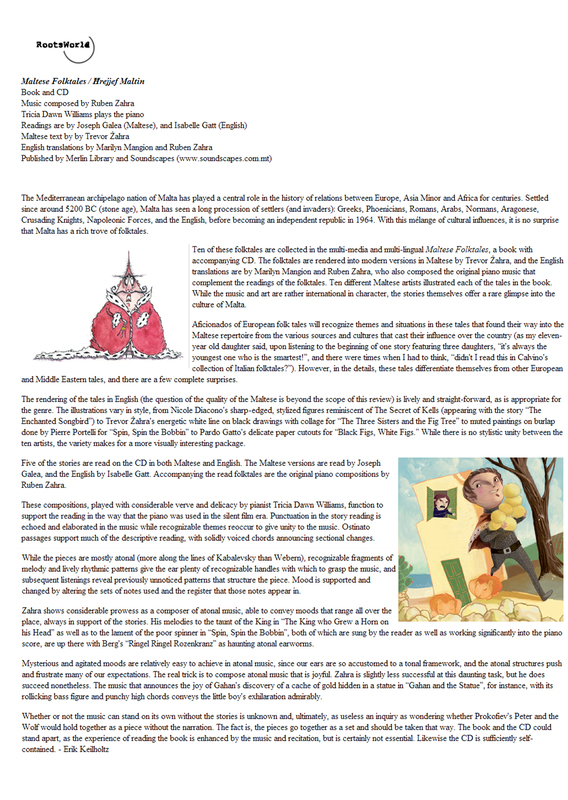 While the actor narrates the folktales, the characters of the stories come to life in the silver screen. 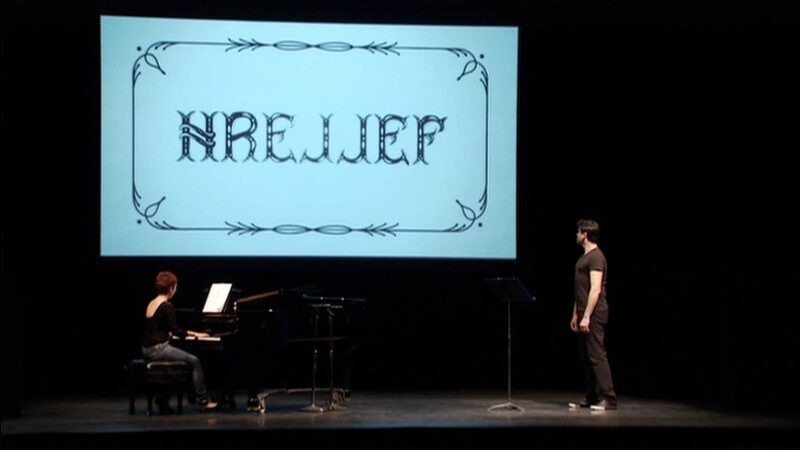 ĦREJJEF is a Soundscapes production:conceived and composed by Ruben Zahra; script: Trevor Zahra; animation produced by Shadeena, directed and animated by Martin Bonniċi; production design by Nel Pace; Videos commissioned by Żigużajg Arts Festival for Children & Young People.